The unrelenting wet winter and spring has forced County League chiefs to delay the start of the new season. 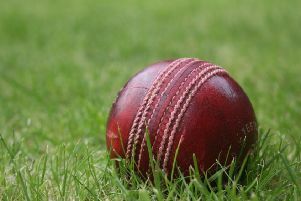 The third Saturday in April traditionally brings a new Leicestershire and Rutland County Cricket League season and a precursor to the upcoming summer. But last Tuesday, 11 days before kick-off, the league took the almost unprecedented step of putting the start back a week after consulting clubs throughout the county. Virtually all of them reported problems as months of persistent rainfall left groundstaff unable to prepare wickets fit for the new campaign. All fixtures scheduled for this Saturday will be switched to September 22; extending the season by a week. Acting league chairman Nigel Kinch said: “Following Monday’s night’s meeting, and listening to feedback from all the clubs, the committee have made the decision to delay the start of the 2018 season until April 28. “This decision was not taken lightly and every other option was discussed, but we feel the one taken was in the best interests of the league. Thorpe Arnold Cricket Club has been particularly badly hit. Last week parts of the outfield were submerged in six inches of floodwater after 14 hours of rain fell on Sunday and Monday, postponing all work until at least the end of the week. “We are currently under water for the third time in as many weeks,” said secretary Di McQuillan last week. “Ground preparation has been difficult throughout the early spring months due to the snow and rain which left the ground waterlogged. Egerton Park CC has fared little better. Chairman David Glover added: “It’s been by far the worst pre-season weather I can remember in my time at Egerton Park. “We have managed to cut the square twice, but only completed about 10 per cent of the normal pre-season rolling, and not even been able to get on the ground now in more than two weeks. “After the worst winter for quite some time, we were beginning to dry up quite nicely until the torrential rain arrived on Monday, March 12, followed by more snow at the end of the week.